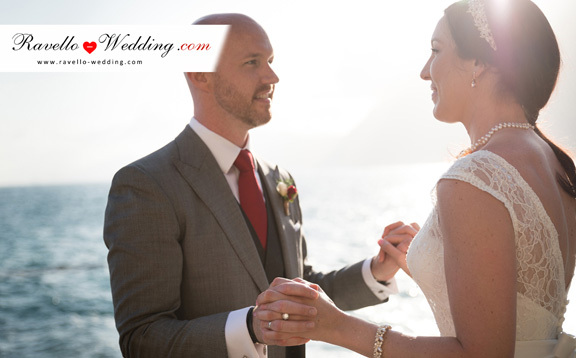 Our talented wedding planners selected the most romantic destinations for your wedding, such as Ravello, Positano, Amalfi, Sorrento and Capri. 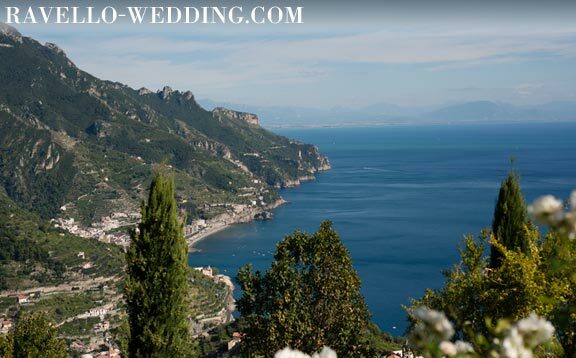 A collection of top class venues, along the Amalfi coast, Ravello and Positano, designed to be a stunning setting for your unforgettable wedding day. Our expert team is specialized in creating and recommending personalized decor and wedding design, from cards and invitations to table decoration and more. Italian cuisine and hospitality that will make your wedding day a truly memorable experience. 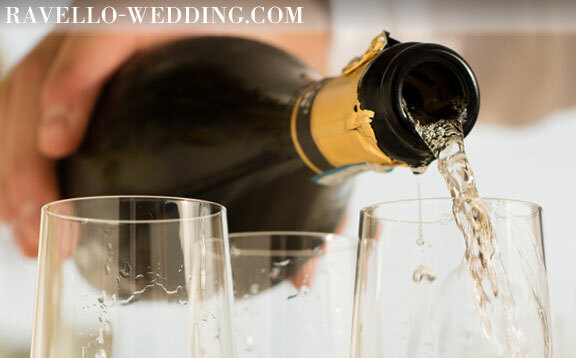 Let us recommend the yummiest Italian dishes and the best wines for your Amalfi coast wedding. Visit this section if you'd like to watch a few slideshows from weddings we planned recently, or find us on Youtube. Contact us if you'd like to inquire about our wedding packages, or if you need our assistance to find the combination of services that is ideal for you. Get married in Italy and enjoy the charm of a country with unique history, spectacular locations, venues, and traditions. You will walk in the footsteps of actresses and VIPs who were here before you, and enjoy the famous relaxed Italian way of living, the "Dolce Vita". 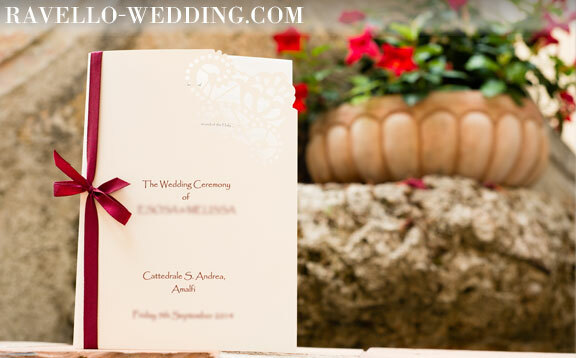 Ravello-Wedding will make getting married on the Amalfi coast, and in Italy, a truly special and unique experience. 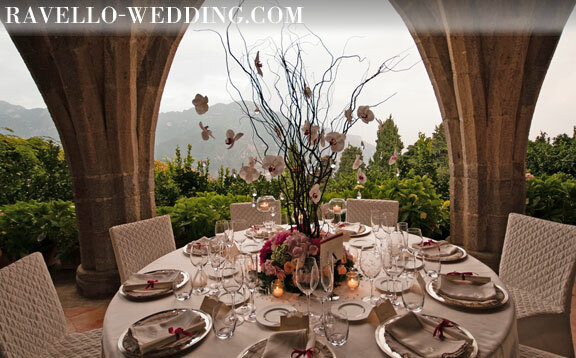 Ravello-Wedding plans stunning Italian destination and elopement weddings to perfection. Our expert team of wedding planners will assist you with all aspects of your event ensuring utmost attention to detail, to help you create your magical day and those special memories. We plan events that range from classic to extravagant and glamorous with absolute dedication. We assist you with your paperwork, location and venue selection, invitations and order of service design and printing, floral arrangements and decorations, photography, music, transportation, and everything you might need. 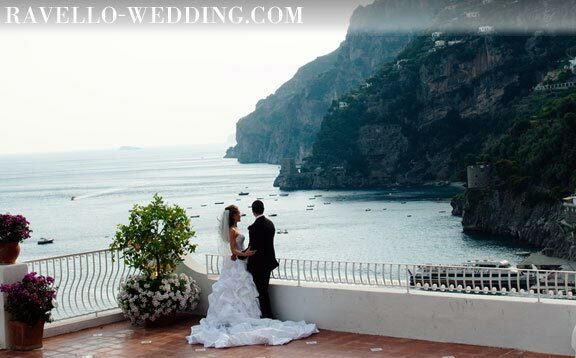 Contact us now to inquire about our services and to start planning your wedding in Ravello or in other popular destinations in Italy such as Positano, Sorrento, Capri and Amalfi.